After discovering they are siblings, Robin and Andrea McBride turned a shared passion into a successful family business. Laughter, competition and friendship are common between sisters. The relationship can be complicated and messy—and also one of the most cherished connections you will ever make. This is the lesson Robin and Andréa McBride have spent the last 17 years learning. Neither Robin, 42, nor Andréa, 33, grew up with their father, Kelly McBride. Robin’s parents divorced when she was 2, and she grew up in picturesque Monterey, California. Andréa was also 2 when her parents split. She and her mom left Los Angeles and returned to her mother’s native New Zealand. Each woman was raised as an only child, unaware the other existed. “I thought I saw my reflection in the mirror until I realized that I was seeing my sister for the first time,” Robin adds. The two quickly became aware they had more in common than a name and DNA. They were both Black girls who had spent their childhoods in wine regions. “With a love of wine, we explored going into business together,” says Andréa. But the wine industry, particularly ten years ago, was still very male and very White, with family businesses typically handed down from one generation to the next. “People weren’t used to seeing women who looked like us owning a wine company,” Robin shares. Undeterred by the obstacles, they traveled to New Zealand and persuaded a group of sustainable growers to allow them to import and sell their wine in Cali- fornia. The sisters knew that wine drinkers were getting younger and more sophis- ticated and were unwilling to break the bank over one bottle. In 2010, with a small inventory, a handshake deal and many prayers, they launched Eco.Love Wines. It grew and so did their passion. 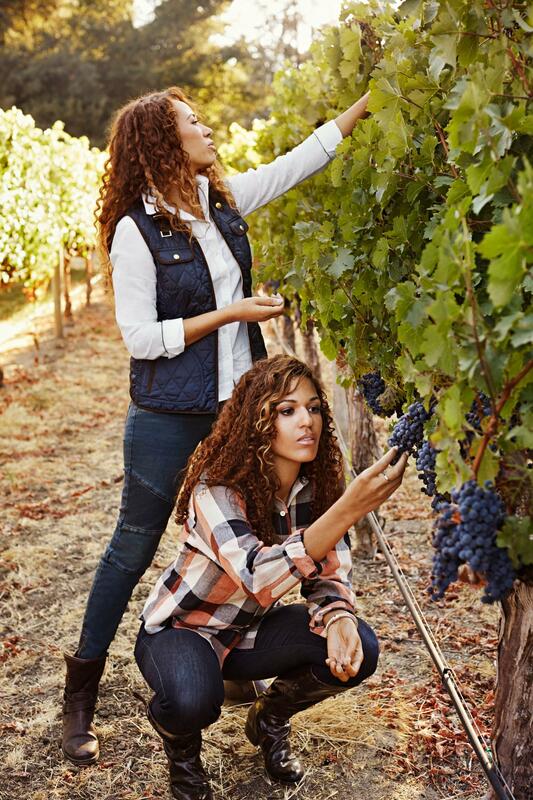 Last January the sisters established Truvée, which now has a staff that’s 60 percent female. The company offers a crisp char- donnay, a new rosé and the Red Blend, made with Grenache and Syrah. Wendy L. Wilson is a veteran journalist based in New York City and the former news editor for ESSENCE.